The record is made up of 1 item (125 folios). It was created in 26 Feb 1903-1 Dec 1908. It was written in English. The original is part of the British Library: India Office The department of the British Government to which the Government of India reported between 1858 and 1947. The successor to the Court of Directors. Records and Private Papers. The item consists of part three of the subject file 2908/1907 Persian Gulf Historically used by the British to refer to the sea area between the Arabian Peninsula and Iran. Often referred to as The Gulf or the Arabian Gulf. : Quarantine. 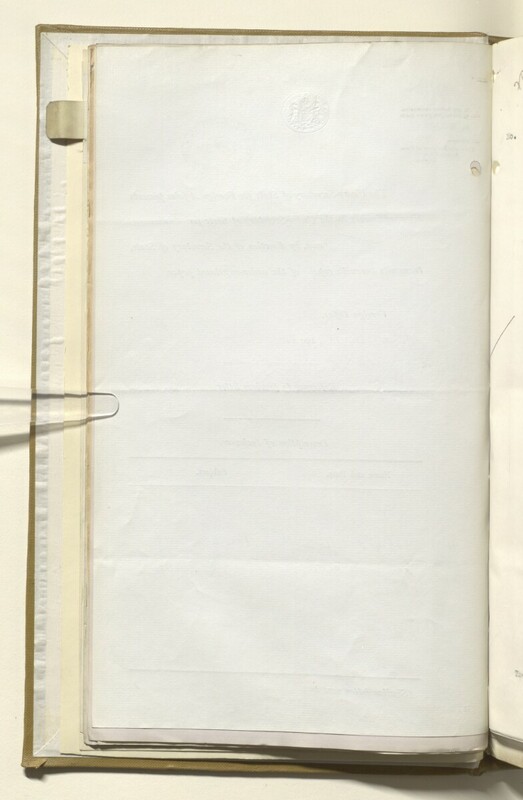 This part broadly covers two topics: the proceedings of the International Sanitary Conference at Paris (1903) and complaints made by German consular staff at Bushire against the conduct of Captain Thomas Beauchamp Williams whilst undertaking his duties as Chief Quarantine Officer in the Persian Gulf Historically used by the British to refer to the sea area between the Arabian Peninsula and Iran. Often referred to as The Gulf or the Arabian Gulf. . Complaints against Captain Williams over his conduct during the latter two incidents were lodged by Count Quadt, German Minister at Tehran, at the Tehran Sanitary Council: see folios 4-6 for related papers. A copy – in French – of a report of the proceedings of the fifty-third session of the Tehran Sanitary Council can be found on folios 11-14. A copy – in French with English translation – of the International Sanitary Convention, signed at Paris 3 December 1903, can be found on folios 43-108. For supplementary correspondence outlining the proceedings of the British delegation at the Conference, see folios 109-125. The main correspondents are as follows: HM Minister at Tehran (Sir Cecil Arthur Spring Rice), HM Chargé d'affaires at Tehran (Charles Murray Marling), the Political Resident A senior ranking political representative (equivalent to a Consul General) from the diplomatic corps of the Government of India or one of its subordinate provincial governments, in charge of a Political Residency. in the Persian Gulf Historically used by the British to refer to the sea area between the Arabian Peninsula and Iran. Often referred to as The Gulf or the Arabian Gulf. (Major Percy Zachariah Cox), the Chief Quarantine Officer in the Persian Gulf Historically used by the British to refer to the sea area between the Arabian Peninsula and Iran. Often referred to as The Gulf or the Arabian Gulf. , the German Consul at Bushire (Dr Franz Listermann), officials of the Foreign Office, and officials of the India Office The department of the British Government to which the Government of India reported between 1858 and 1947. The successor to the Court of Directors. .
No papers have been filed for the years 1905-1906. The papers are arranged in chronological order from the rear (folio 125) to the front of the part (folio 1).